← Virginia Agriculture Trade and the WTO — What Does this Evidence About Globalization? 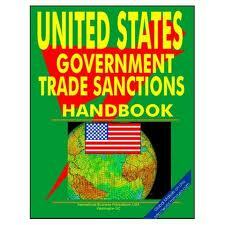 States and Trade Sanctions — New Role of States Under Federal Legislation — Historical Development. The 2010 statute specifically cites and encourages divestment sanctions by state pension funds. (Title III). Some argue that under this statute U.S. ports and states housing them would have authority to deny foreign shippers access to the ports if their ships call on Iranian ports. This newer legislation is clearly a historical development concerning the role of states in global trade sanctions. States have long taken action impacting foreign trade which is a federal power exclusively exercised by the Congress. But courts have not been too friendly. In 2000 the Supreme Court struck down state law concerning Burma trade sanctions as being in violation of the principle of federalism (relying upon the concept of “implied preemption”). Ten years later the Congress has now decided to enlist the support of states. To me this new legislation is long-overdue. It calls for greater state action. In order to be really effective state action should be coordinated among the states. This would significantly broaden and reinforce the actions of the federal government and multilateral sanctions. …. “Uniting States Against Iran.” Wall Street Journal (March 9, 2013). …. “Closing U.S. Ports.” Wall Street Journal (March 14, 2013). …. U.S. Treasury Dept. Resource Center for Iranian Sanctions. This entry was posted in Global Trade Relations and tagged Burma trade Case (Supreme Court 2000), exclusive role of Congress in global trade, federal legislation and state trade sanctions, federalism and state trade, implied preemption and state trade sanctions, Iranian trade sanctions, multilateral and federal sanctions, principle of federalism and global trade, role of Congress in international trade policy, state trade sanctions, The Comprehensive Iran Sanctions Act of 2010. Bookmark the permalink.